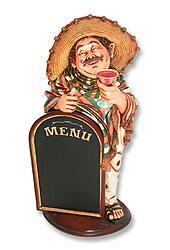 This is a Mexican themed waiter with a menu in hand. It is such a fun and vibrant piece that can be a great addition to your restaurant, Hispanic themed event, or your kitchen counter. 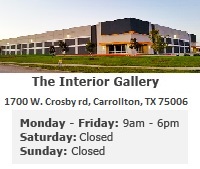 It has been hand painted to showcase plenty of detail. Dimensions: L21.50" x H42.75" x W18.25"